Château Dauzac, a 5emè Cru Classé Margaux estate, has a long history stretching back to the early 19th century. 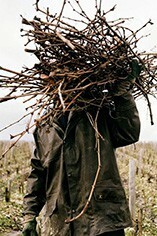 However its fortunes dwindled during much of the 20th century and by the 1970s it had acquired a reputation as one of the leading underperfomers in the Médoc and it would have struggled to retain its 5emè cru classé in any re-assessment of the 1885 Classification. Dauzac's white knight came in the from of Félix Chatelier who acquired the property in 1978. He built a new cuviar, completely renovated the cellars and extensively replanted in the vineyards. In 1989 the M.A.I.F. (Mutuelles d'Assurances des Instituteurs de France) acquired the Château - they continued the investment and in 1992 handed over the running of the estate to André Lurton. Dauzac is located in the far south of the Margaux appellation and consists of 45 hectares of vineyard, planted with 58% Cabernet Sauvignon, 37% Merlot and 5% Cabernet Franc. Vinification is in temperature-controlled-stainless steel tanks and the wine is matured in oak barriques (60% new) for 12 months. Quality is now at an all time-high and Dauzac now represents one of the Médoc's shrewdest buys.